Big names in the beverage market in the world, including Pepsi, Coca Cola and Tan Hiep Phat, have been struggling to scramble for parts of the Vietnamese market. The beverage market is considered a lucrative land for investors, which has attracted so many big names in the world. However, analysts believe that Pepsi and Coca Cola are still dominating the domestic market. Like in any other markets in the world, Pepsi and Coca Cola are the two “hereditary rivals” in Vietnam. It’s easy to recognize that where Pepsi products are available, there would not be Coca Cola products, and vice versa. The National Cinema Center at No. 87 Lang Ha Street only provides Pepsi products. Meanwhile, Megastar only provides Coca Cola products with nearly all things here stuck with the producer’s logos. Chi, a member of the board of management of Megastar Pico Mall, said right from the beginning, Megastar signed a contract on distributing Coca Cola, while the products with other brands are not available here. Not only cinemas, but fast food shops have also become the distributors of the drink well known brands. 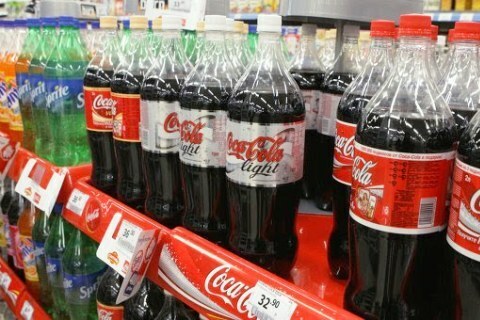 Those, who like Coca Cola would never find the products with the brand at Lotteria or KFC chains. Linh, the manager of Lotteria Hoan Kiem said Lotteria began selling Pepsi products right from the day the shop became operational. Pepsi once dominated both the northern and southern markets in Vietnam. With low sale prices, high quality and well known brand, Pepsi weeded nearly all domestic rivals out of the market just within one month. Tribeco, for example, had to stop its short golden age and has shifted to make soya milk. However, Coca Cola’s products have been more favored at small and medium food shops or restaurants. Surveys have found out that at street rice shops, most of customers prefer Coca to Pepsi, because Coca drinks are sweeter and they make people feel full quickly. Not only Coca-Pepsi, the Vietnamese market has witnessed very stiff competitions among domestic companies. In 2001, Number 1 products were first launched by Tan Hiep Phat Company into the pep drink market. At that time, Red Bull Rhino and Lipovitan had been dominating the market. Since Number 1 products were cheaper than any other rivals, the producer, with a good marketing strategy, obtained 30 percent of the market share just after three months. The competition became even fiercer when the two big guys Coca Cola and Pepsi launched Samurai and Sting. Pepsi failed later with “Sting golden” products. However, it continued to market Sting products with strawberry flavor, which helped it lead the consumption market for the young. According to Nielsen, by mid-2011, Sting had held 52 percent of the market share, Number 1 23 percent, while other brands share the other 25 percent of the market share. Nguyen Quang Anh, Accountant Executive of NEO, an advertisement firm, said it is understandable why drink companies force distributors to sell their products only, while the business field can be compared with a fighting field. The battle between Coca Cola and Pepsi has not come to an end yet. While Coca’s products are favored in some areas, Pepsi’s products are preferred in other places. Anh from NEO noted that there still has been no domestic outstanding brand, partially because of the limited financial capability of domestic firms.